As database administrators, we obsess over a few things, things we don’t compromise on. One of them is SQL Server availability. We may use several tools, scripts, and/or configurations, in addition to constant oversight to ensure that the database is always available. We sometimes even go that extra mile to ensure availability, because we know it is easier to ensure a database is available than deal with the outcome of unavailability. In this post, let us look at some of the easiest ways to ensure availability. Installing SharePoint farms can go from “click-click-next” to a full day work depending on the configuration level for the server farm. For administrators that are new to the farm, it can be quite troublesome to learn the farm’s configuration. In those cases, it is important to have a farm documentation with all the setting information. 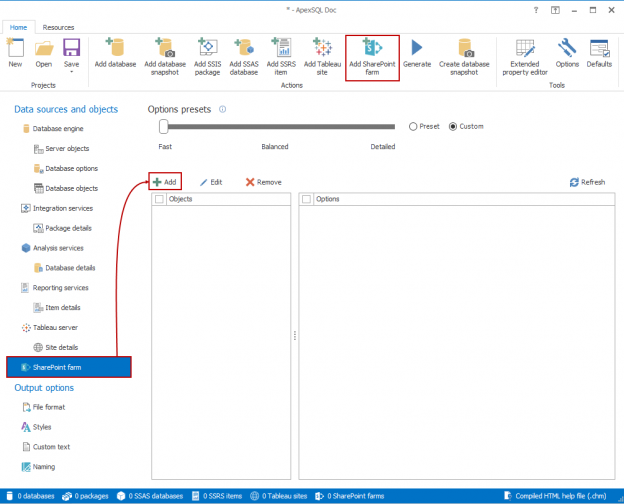 SharePoint documentation is also important for recreating sets of configurations for when failure occur. Working with a database, at some point, usually means working with CRUD operations. Although not complex, CRUD operations are often used with SQL, so it is of great importance for developers to learn about how to create them efficiently and easily. We sometimes may find ourselves in a stressful situation at work, where for example we need to update or delete some records in our database. We’ve all been there. Right after we click that “Execute” button, we realize we forgot to include a WHERE clause and the entire table is wiped instead of only one row. Although things like this can happen to the best of us, we can plan ahead and take preventative measures to make sure, we don’t get negatively impacted by the consequences of such a mistake. Once you have a SQL Server query working correctly – that is, returning the correct results or properly updating a table with update, insert or delete operations, the next thing you usually want to look at is how well the query performs. There are simple things that you can do to improve the performance of a critical query; often those improvements can be quite dramatic! In this article, we’ll look at one of the most-frequently-seen performance killers: SQL Server index scans. Starting with a simple example, we’ll look at what SQL Server does to figure out how to return the requested result, at least from a high level. That will allow us to zero-in on any bottlenecks and look at strategies to resolve them. 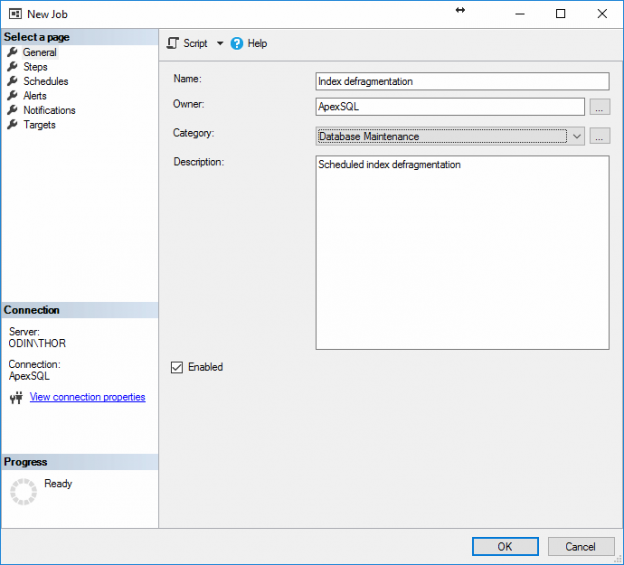 As it was explained in article on How to automatically compare and synchronize SQL Server database objects with a shared script folder, this article will explain the solution for the reverse process, when changes needs to be pulled from a shared script folder to a local database. This might be helpful if a developer returns from vacation and wants to catch up to the team with all changes or if a build has been tweaked, as part of a recent test/delivery and the latest version needs to be re-propagated directly to all developers via their local development database. In some cases, source control systems are not an option for a particular SQL developer team, due to cost concerns, lack of approval etc., but the requirements for such a system, or close approximation, for managing changes across the developer team can still be a priority. In such cases, the team needs to think of another way of “uploading” their database changes in one place, comparing and even synchronizing them. One approach is to create a folder that is located on a shared network location, to which all developers have access and essentially use this as a “poor man’s source control repository. This shared folder will contain scripts of all database objects e.g. the whole database schema. If any developer makes any change to their local database, they’ll need a tool that will compare the current state of their local database against the shared script folder to update those changes on the shared folder, and to also update their local development database with changes from all of the other developers on their team, via the shared folder. Once differences are reviewed, they should be able to select specific/all objects that he wants to synchronize to a shared script folder. Additionally, the whole process should be able run unattended, when developers want to perform synchronization on a click or to schedule it. In that case, it would be useful to have date stamped comparison reports and output files that would contain all information about changes. 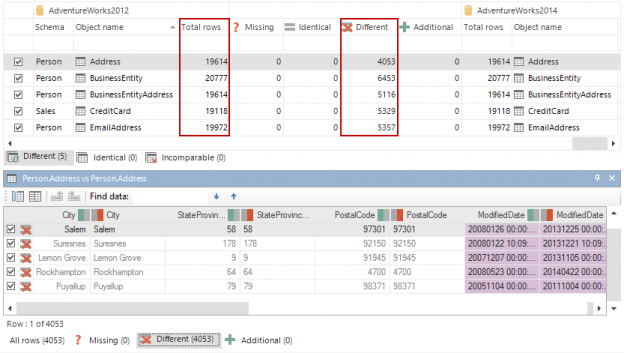 In this article, a tool – ApexSQL Diff will be shown as a tool that is up for this challenge, as it offers comparison of databases to script folders. It can be automatized using its CLI and scheduled to be run at specific time/date unattended. In this example that will be described in this article, the comparison will be scheduled every 30 minutes, if there are any differences between a shared script folder and a database, a synchronization will be executed to update the shared folder, this “poor man’s” source control repository, with changes from one of the developer’s local databases. Additionally, a text file can be created that will contain server and database names for all developers and the created script will iterate through all of them, and conduct the comparison and synchronization process for each developer database. Along with the performed synchronization, ApexSQL Diff will create date stamped HTML comparison reports of the changes and the output summary files. In the example below, code is used to iterate thru a file which has a list of local databases by SQL Server name. Before setting up the process, if a shared script folder is not created check out the article on exporting SQL data sources, so that a whole database is exported in one script folder. In this case, added and equal are unchecked, in order to not delete any objects that exist only in the script folder, e.g. another developer might have added these objects and we don’t want to remove them, and to not show equal objects. The same project file with its settings can be used to process all databases, as the only thing that will be changed are the databases from the text file. Additionally, check to create a snapshot file and backup of the script folder before the synchronization process starts, so if needed the previous state of the script folder can be rolled back. Now, when the first synchronization to a shared script folder was finished successfully, along with creating the project file that contains all needed settings, the whole process can be automated by creating a PowerShell script. In our example Windows authentication was used to connect to a database, but if you choose SQL Server authentication your password will be encrypted in the previously saved project file. To learn more about handling login credentials, check out the article about ways of handling database/login credentials. We’ll now show you only the important parts of the PowerShell script, while the whole script can be downloaded below and you can use for your purposes. If you want to learn how to automatically create folders for storing all outputs, set up their locations, along with the root folder, check out Appendix A. $diffParameters = "/pr:""SFSync.axds"" /ots:m d /ot:html /hro:s d t is /on:""$repLocation\ReportSchema_$stampDate.html"" /out:""$outLocation\OutputSchema_$stampDate.txt"" /sync /v /f"
Additionally, all potential outcomes can be defined and each one can be processed in specific way. If you’re interested in defining these potential outcomes, learn more about it from article on Utilizing the “no differences detected” return code. In addition to previous automation of the process, e-mail system can be set to inform you about any changes or errors. To learn more about it, check out the article on How to setup an e-mail alert system for ApexSQL tools. Since the whole process is now automated with a PowerShell script, the process can be now easily scheduled in a couple of ways. 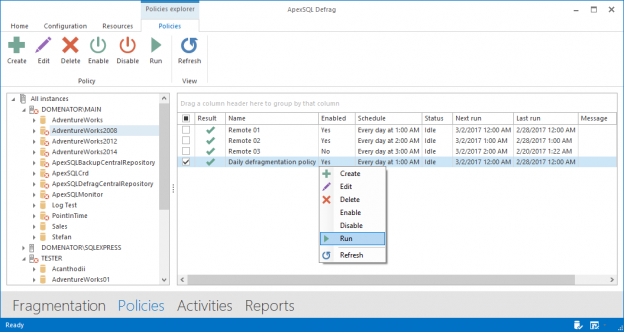 Learn more about the ways of scheduling ApexSQL tools. An issue occurred during application execution at 05312017_214538. With a quick check of the common return error codes in the article General usage and the common Command Line Interface (CLI) switches for ApexSQL tools, it can be concluded that the /of is invalid switch and it doesn’t exit. By identifying who run the last synchronization, checking out the CLI switch used as a parameter and comparing it with CLI switches in the article ApexSQL Diff Command Line Interface (CLI) switches, we can quickly identify that /of is not a valid switch and that /on switch should be used instead. Please download the script(s) associated with this article on our GitHub repository. Please contact us for any problems or questions with the scripts. SQL Server maintenance is not a one-time event, but rather a part of a continuous process. Apart from regular backups and integrity checks, performance improvements can be achieved with index maintenance. If done at regular intervals, it can free the server to focus on other requests rather than losing time scanning for fragmented indexes. 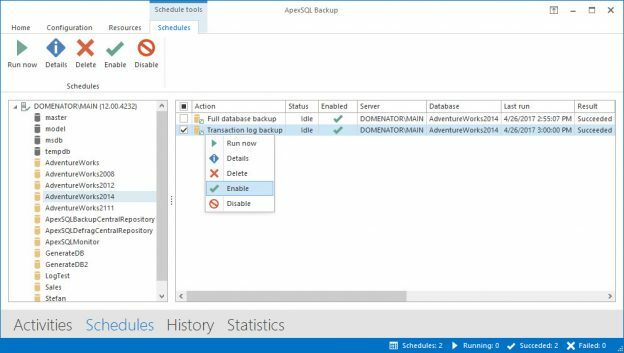 In situations with few databases, maintaining the regular backup routine can be achieved easily, either with the help of a few simple scripts, or by configuring a SQL Server agent job that will perform the backup automatically. However, if there are hundreds of databases to manage, backing up each database manually can prove to be quite time-consuming task. In this case, it would be useful to create a solution that would back up all, or multiple selected SQL Server databases automatically, on the regular basis. Furthermore, the solution must not impact the server performance, or cause any downtime. Each event that causes data loss or disruption of regular daily operations on a SQL Server can be defined as a “disastrous” event. These events include power outages, hardware failure, virus attacks, various types of file corruption, human error, natural disasters, etc. Although there are many methods that are focused on preventing these events, they still occur from time to time, and therefore require proper measures to be addressed. One of the most effective methods for this purpose is the creation of suitable disaster recovery plan. Even now there are some isolated SQL Servers (without internet access or a limited one) that need to have databases updated with data changes on a daily basis. These kinds of SQL Servers need a way to get the latest data changes from the master SQL database. From time to time, a database object may need to be renamed for various reasons. When that happens, native features for renaming SQL Server database objects can be very useful. 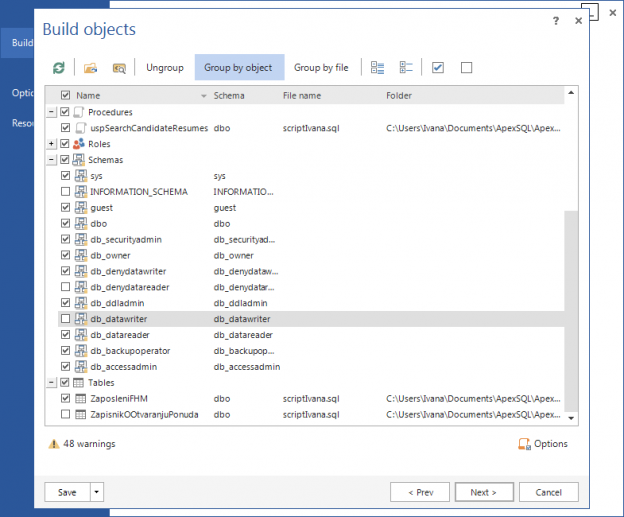 But, there are big differences between just renaming SQL Server database objects in the SQL Server Management Studio and Safe renaming them with ApexSQL Refactor. 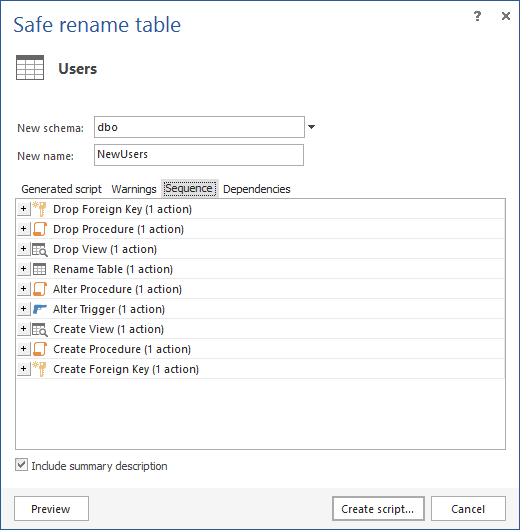 This article will explain the differences between renaming database objects with SSMS and the ApexSQL Refactor’s Safe rename feature. It’s often quite a challenge to keep all SQL databases located on different SQL Servers in sync. As time goes by, a lot of schema and data changes are made on QA databases on daily basis that require to be in sync with Production databases. To keep everything in sync, there should a system that would be either triggered or scheduled to run the comparison of all SQL databases and synchronize the ones were changes are detected. This system should be also aware of any dependencies during the synchronization in order to keep the SQL database integrity. For a SQL Server DBA handling multiple databases on any given time, knowing how to set up regular backup schedules, backups with unique names on a daily basis, making backup mirrors for redundancy, cleaning up old backup files is important. Equally important is automatic confirmation that the backups have been successfully created for the databases with an email notification. 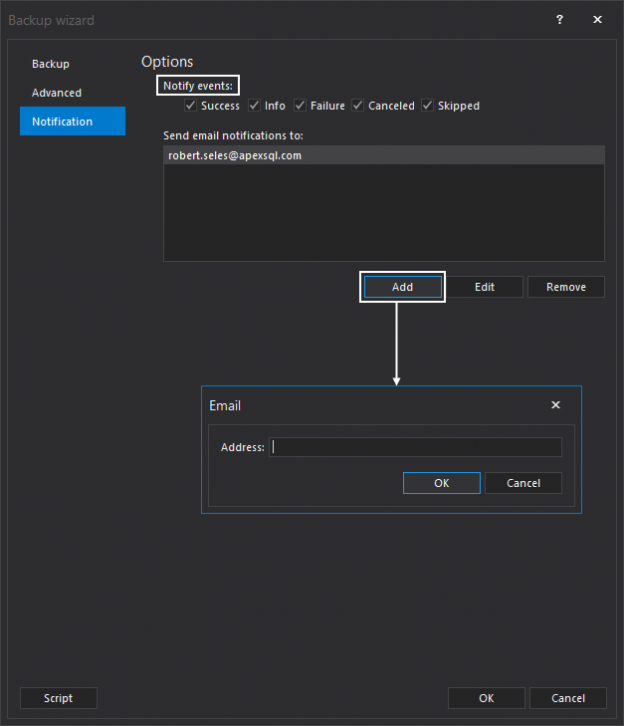 There are a couple of different ways to set up email notifications which can be done from Microsoft’s SQL Server Management Studio, or from a third party application for managing MS SQL Server backups like ApexSQL Backup. After initial index creation in a SQL Server database, everything is properly ordered, which means that the logical index page order perfectly matches the physical index page order within the datafile. This is the ideal scenario and it allows for maximum query performance. If the table contains data that never changes, the index will remain perfectly ordered. In this article, the Document step of the Continuous Integration workflow will be described. After the Sync step is successfully completed, in this step, database documentation is created, using the latest changed database version. In order to perform any continuous integration or delivery process, an important requirement – to be able to pull out the database (which was previously versioned in source control), automatically and repeatedly, to recreate the database in a QA environment at a click a button (or scheduled on a commit). 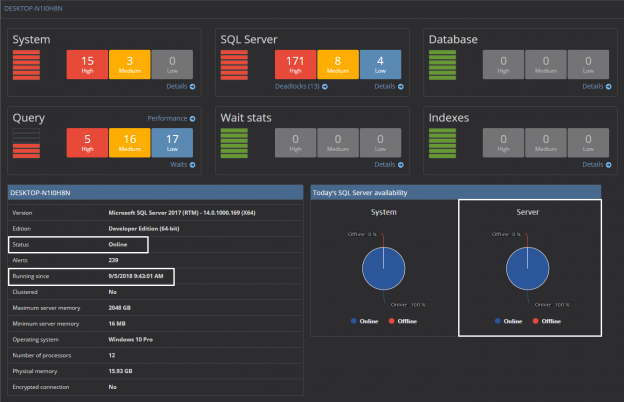 Apart from numerous factors, poor index maintenance can be a reason for decreased SQL Server performance. If a database contains tables with numerous entries, that get updated frequently, it is most likely that high index fragmentation will occur. For smaller indexes, high fragmentation does not necessarily degrade the performance of the queries that are run on a table. But for the larger tables, with indexes that consist of 1000 pages and more, fragmentation could cause noticeable performance issues. Luckily, performing index maintenance tasks on a regular basis can eliminate the risk of degrading performance significantly. The most effective ways for treating index fragmentation are reorganize and rebuild index operations. One of the most important things for a DBA when it comes to managing databases is schema change auditing. This involves tracking changes over time, identifying differences between two versions and even rolling back changes to a previous baseline.